THERE’S A PHOTOGRAPH in a small gold frame nestled in a large wall unit at my parents’ house. In it, two people stand. There’s a formal distance between them, yet the smiles, one moustachioed, one toothy, show warmth. The colours are faded. But you can still make out the scarlet of a Mountie’s serge and the pink of a little girl’s lengha. The subjects of the photo are a real-life RCMP officer – I can’t remember his name – and me, seven years old. It’s a sweet tableau. It was also strategic, important and meaningful. In this space, I normally focus on the opinions of everyone else in Canada. 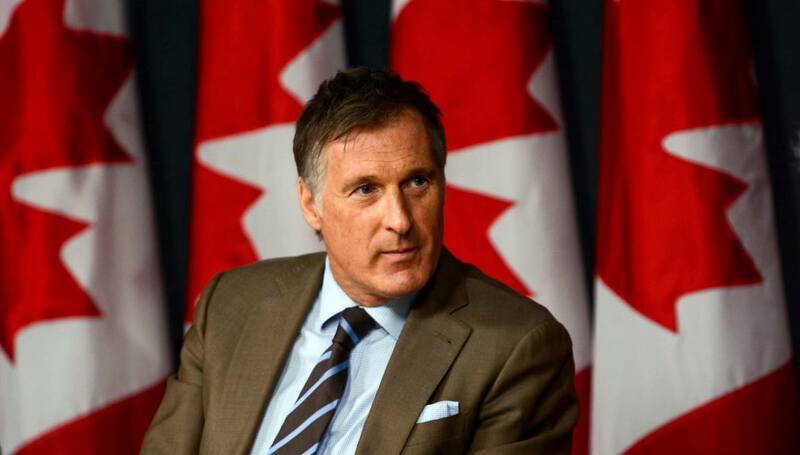 Today, I offer my own take on Maxime Bernier’s latest verbal eruptions over multiculturalism, not as esoteric policy, but as lived experience. While the Beauce MP decries the “Cult of Diversity,” I’d point out that I’m not part of a cult. I am, however, among the first generations of Canadian-born children of immigrants educated under what were often thoughtful, practical lessons of official multiculturalism. Having kids in a school that was mostly populated by the children of immigrants put on “ethnic dress” and pose with a police officer wasn’t just bromide, it was crucial to trying to build trust in a law enforcement institution that often suffers from a lack of it, particularly among visible minorities. Other facets of multiculturalism policy led to classroom discussions and events that exposed us to cultures beyond those of the so-called founding nations, French and English. Just as Francophones took a sense of meaning, belonging and long-sought equality from official bilingualism, multicultural policy has helped solidify a sense of place in the centre of society, not on the margins, for visible minorities. It provided a sense of parity. Ever wonder why, unlike other places, race riots don’t simmer here every decade or so? Want to know why powerful right-of-centre politicians would never dream of calling unemployed immigrants who turn to violence “scum,” as Nicolas Sarkozy did during the Paris riots of 2005? In Canada, multiculturalism helps to create and maintain the conditions in which newcomers don’t just move up economically, but socially as well, more confident in their ability to access higher education, training and work. At a time when this country is already at the centre of fraught conversations about border crossers, immigration policy, Indigenous reconciliation and the cover-everything-else umbrella that is “political correctness,” Bernier’s tweets fuse into a gelatinous goo issues that are better deconstructed and discussed. When two-thirds in this country say that newcomers need to do more to “fit in” with mainstream society, a tough conversation about multiculturalism appears badly overdue. But where Bernier has an opportunity to be thoughtful about whatever he means by “extreme diversity,” he resorts to inflammatory language. Want to have a dialogue about multiculturalism and integration? Fine, let’s unpack it and have it respectfully. Want to make fluency in French or English a requirement of immigration? Sure, let’s talk. Should scrapping dual citizenship or making the period of qualification for citizenship longer be on the table? Put it on the agenda. The Trudeau Liberals – the political target of Bernier’s tweets – have contributed to this confused jumbling of concepts with the now-worn catchphrase “Diversity is our Strength.” Sure, diversity is a strength, but so too are a lack of corruption in the public service, the rule of law, and institutions that more or less function the way they’re supposed to. Invoking diversity when talking about people crossing the border outside of regular checkpoints to claim asylum isn’t on point. Invoking national security is. There are those who would say we shouldn’t take Bernier’s bait. He’s trying to derange us by fanning identity politics that would play well in Quebec, and drive others crazy. I say, don’t play politics with my identity. In part because of multiculturalism, extreme or mild, I’m quite comfortable with who I am and where I fit in this country. I don’t wake in a cold sweat in the middle of the night thinking about it. Maxime, Justin, neither should you. This country is facing more important issues. Get on with them. 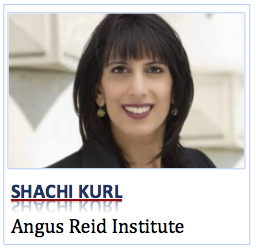 Shachi Kurl is Executive Director of the Angus Reid Institute, a national, not-for-profit, non-partisan public opinion research foundation. Should the cost of extreme weather events and mass migrations caused by political disruptions and civil war continue to increase at its present level it is only a matter of a short time when Bernier’s limitation of diversity approach will be swept away in waves of immigrant reality. Europe is filling up, world population increase isn’t slowing down, resource extraction is intensifying as a result, sea levels are rising, shortly to displace many millions of people, so it doesn’t take a rocket scientist to realize that Canada will be forced to welcome much more diversity on an increasing scale whether Bernier et al like it or not. We can see the consequences of multiculturalism around the World —-tensions and violence between different ethnic groups and religions –even between people of the same religion but different interpretations. The tensions, crime and unemployment among new immigrants in Europe indicate our future.